It is a lot of responsibility to be on a nonprofit board. Board members not only provide leadership and support to the organization; they have an obligation to the people and communities the organization serves. People join nonprofit boards because they care deeply about the mission of the organization. But they may not have board experience or knowledge of board governance. By using some board development strategies and tools, you can grow the skills of board members and the effectiveness of your board. Recruiting committed board members with the experience, skills and networks needed by your organization. Orienting board members so they are ready to serve and to represent the organization to the community. Providing learning and leadership development opportunities in board meetings and through classes, conferences and webinars. Doing regular board assessments to guide board development activities. Cultivating the leadership of the board by giving board members opportunities to serve on committees, task forces, or special projects before they are elected to officer positions. Establish a board development or governance committee that is responsible for planning a schedule of learning opportunities throughout the year. Dave Coleman at BoardTrek provides a primer on board governance. Here are some ideas to keep your board engaged and learning. “Mission Moment” - Regularly have a program staff member, perhaps with someone who uses your services, make a short presentation at a meeting. Send board members an article, blog, or book to read. Have them subscribe to Blue Avocado or read the archives of board café. Have members lead a discussion of something they read or a training they attend, focusing on the implications for your organization. Set up a board collaboration site to make it easier for board members to share information and report on what they learned. Here are some free or low cost cloud-based collaboration options: Huddle, OneSpace, Basecamp, Wiggio, Big Tent, or Linked In groups. You can also submit a Request for Assistance and 501 Commons to support you in selecting or building a cloud-based board portal. Make board development an ongoing activity of the board. Your board leadership will be stronger and you will attract board members who are eager to learn and who understand the importance of being a good board member. Feel like you're begging your board officers to take on the important role of the board chair? 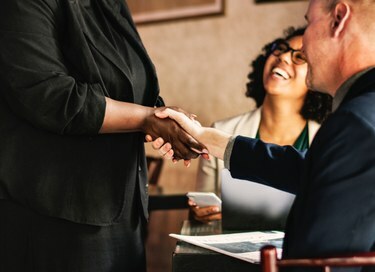 The Alford Group describes how you can go about conducting a fruitful board chair recruitment process to land the right leader who can take your nonprofit to new heights.